LOS ANGELES, July 4, 2014 - A retired US Navy officer pleaded guilty Thursday to overcharging his former employers by up to $2.5 million, the latest admission in a bribery scandal involving ships in Asia and the Pacific. Edmond Aruffo, who had a military career spanning over 20 years, left the Navy in 2007 and was hired two years later by Singapore-based contractor Glenn Defense Marine Asia, which is at the center of the widening scandal. 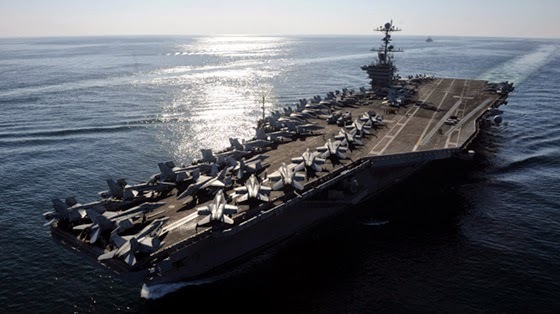 He used his position and contacts to submit fake or inflated invoices for port services for US Navy ships in Japanese ports, with GDMA winning substantial kickbacks as a result. In February 2010, Aruffo arranged for port services for the USS Blue Ridge in Otaru, Japan. The Navy was billed $432,476.14, more than twice the normal amount, while GDMA got a kickback of over $200,000. "There is an old Navy saying: 'Not self, but country,'" said Assistant Attorney General Leslie Caldwell of the Justice Department's Criminal Division. "Edmond Aruffo instead put self before country when he stole from the US Navy as part of a massive fraud and bribery scheme that cost the US Navy more than $20 million." Aruffo is the seventh defendant charged, and the fourth to plead guilty, in the expanding corruption scandal involving GDMA, which has serviced Navy ships and submarines in the Pacific for decades. At the center of the case is GDMA's CEO Leonard Francis -- a Malaysian businessman dubbed "Fat Leonard" by officers -- who is awaiting trial for conspiracy to commit bribery.